Melbourne Metro's "Dumb Ways to Die" video hit over 60 million views on YouTube this past week, making it one of the biggest viral hits of 2013. Following the trend that brought OREO huge success this year, the ad is driven by its addictive music and disarmingly-cute animation. Who knew beheading could be so adorable? The featured song, written by John Mescall and Ollie McGill, broke into the top 10 on iTunes in Australia within 24 hours of its release, and by November 18th, 2012 was the sixth most popular song globally, ahead of Rihanna's "Diamonds." It's since reached the iTunes charts in 28 countries, peaking as high as number 3 in Hong Kong. 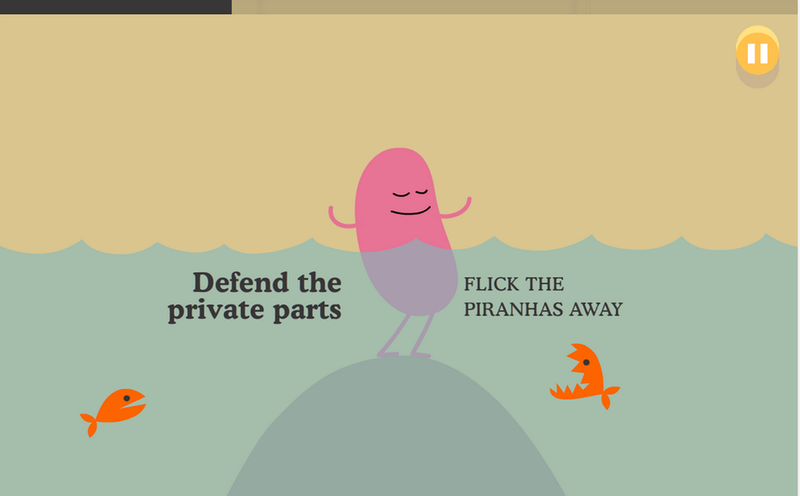 Save your private parts from flesh-eating piranhas in the mobile game. It's also spawned a highly-rated game which you can download on Android and iPhone. Created for Metro by McCann, the ad raked in five Grand Prix awards at Cannes - for Film, Radio, PR, Direct and Integrated. It also earned 18 Gold Lions, three Silver Lions and two Bronze, making it the all-time most awarded campaign in Cannes Lions' history. Perhaps most important, the Metro saw a 21% reduction in accidents and deaths compared to the previous year. The message in the ad is an important one, and McCann by no means downplayed the grim realities of Metro accidents. But by taking a different approach than the usual straight-up stats or scare tactics, they created a far-more memorable PSA, got the message in front of millions, and left us humming along to a song about safety. Quite the remarkable feat.